CHILI’S TRIVIA IS A FUN AND INTERACTIVE EXPERIENCE. 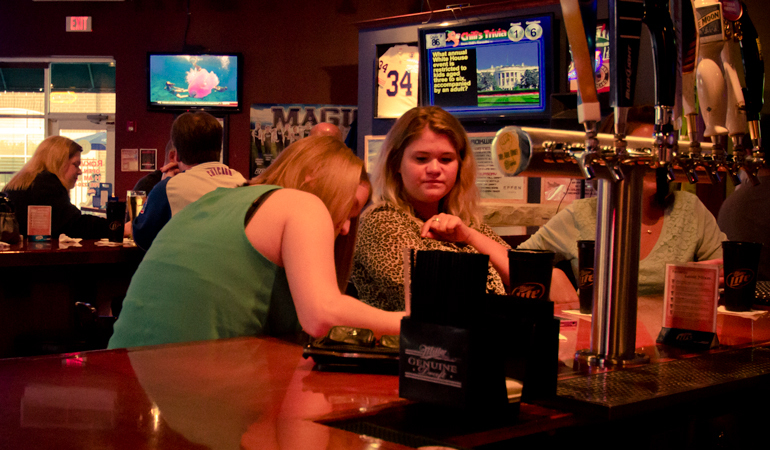 Most trivia nights consist of some guy or gal just standing up and reading questions. Sometimes the players yell out answers, sometimes they are written down and turned in. Either way it is inconsistent and kind of dry. 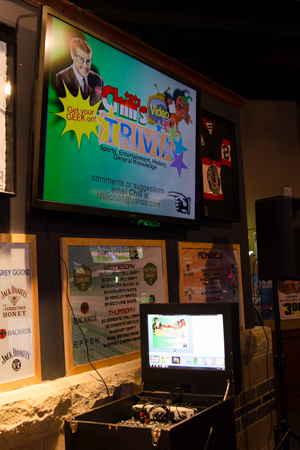 With Chili’s Trivia, question appears on TV monitors as the host reads them out loud to the audience. An interesting and sometimes silly picture accompanies each question. Colorful cards are distributed to the crowd. Players use these cards to record their answers. The questions in each quiz are a mix of history, sports, geography, science and general knowledge. Great care is taken to choose questions that are accessible to a wide audience. Pop trivia or entertainment questions are done in a “Now & Then” format. Old song or movie questions are paired with new song or movie questions. This way all ages are represented. A Chili’s Trivia night is 2 or 2 ½ hours filled with forty questions and four challenging bonus rounds. A silly stunt or game called the” Loser’s Challenge” adds to the excitement of the evening.